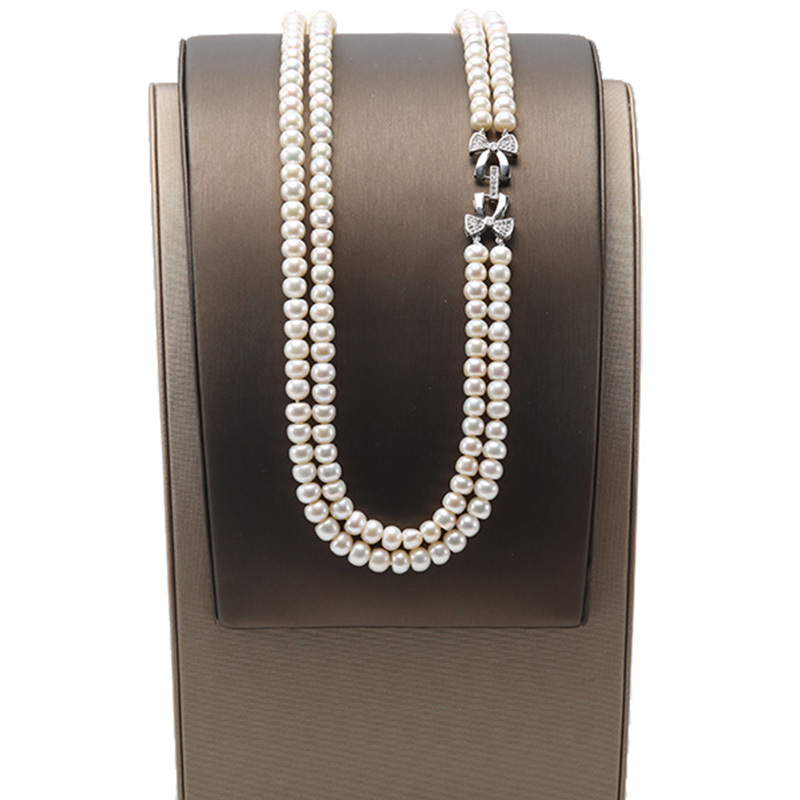 White A Grade Freshwater Cultured Pearl Necklace (7-7.5 mm) With rhodium plated base metal Clasp. 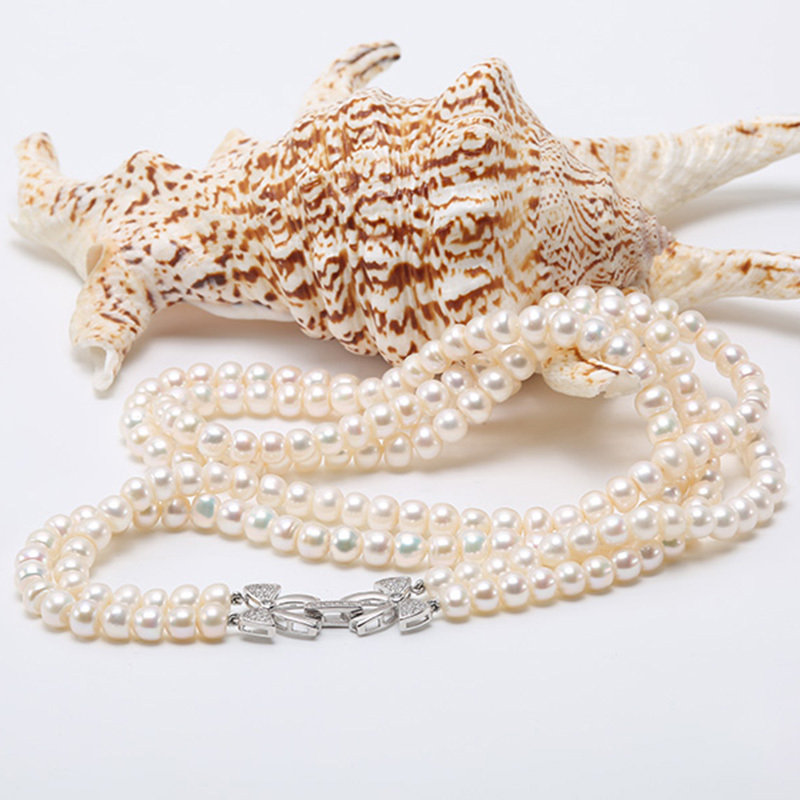 Double-strand freshwater cultured pearls with rhodium plated base metal Clasp. Great for Any Occasions. 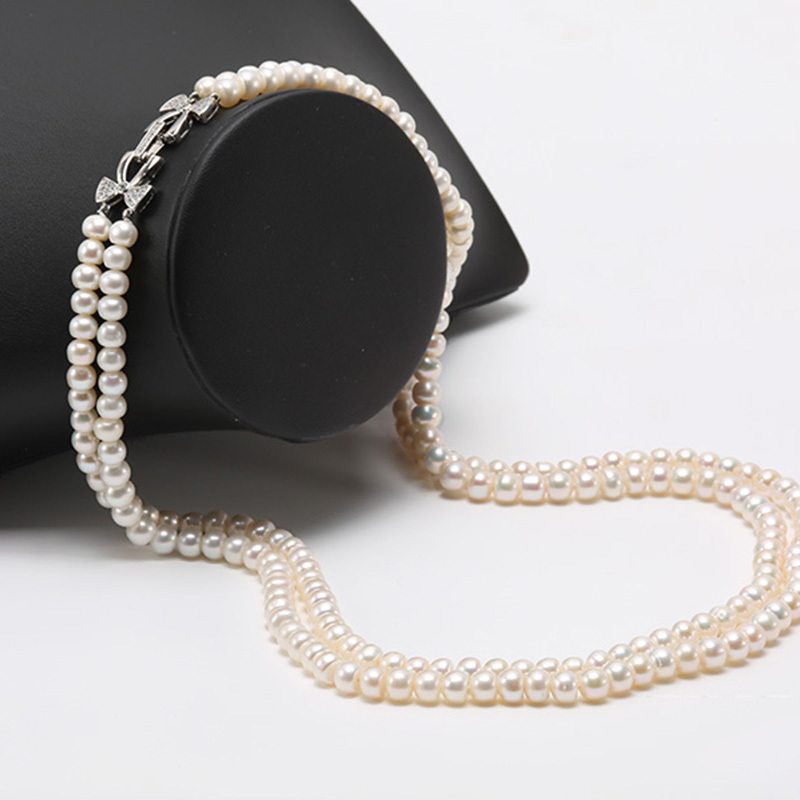 Pearl name: Double stand necklace. Occasion:concert, dinner party, prom, date, wedding occasion. Ideal Gift: makes it a wonderful gift of jewelry for women, ladies in Valentine's Day, Mother's Day, Birthday, Anniversary and Graduation. 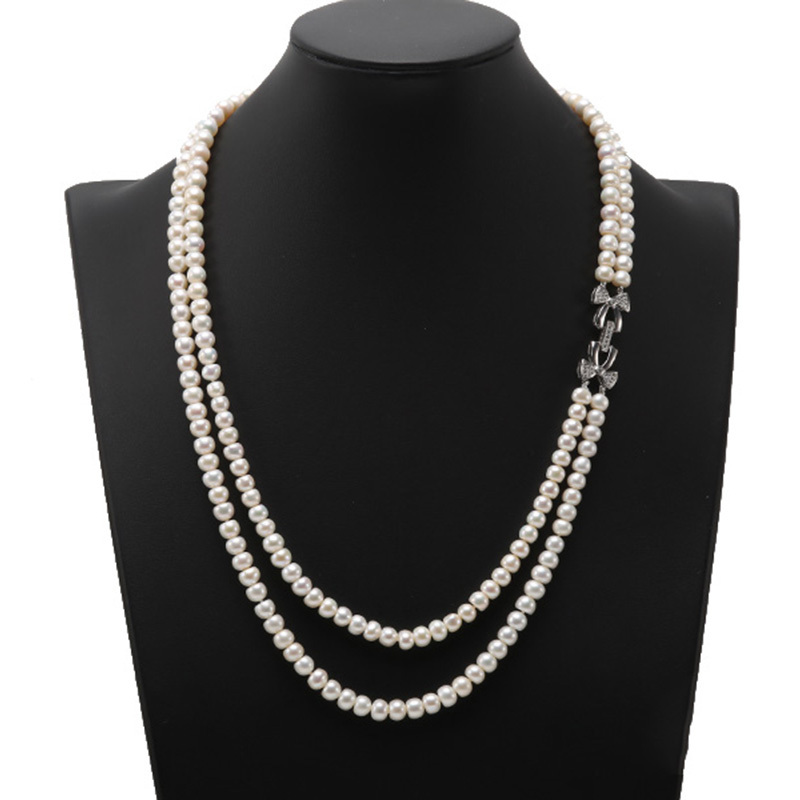 1.Fine 7.0-7.5mm flat freshwater pearl necklace, 22-24 inches long pearl necklace, and each pearl is knotted. It will be necessary to avoid to wet it, with chlorinated water, perfumes or chemicals, sweat, or to put too much in the sun. It could lose its luster, crack or tarnish because it needs to be minimally hydrated. She could also suffer from repeated shocks against other jewels, even if she is strong. 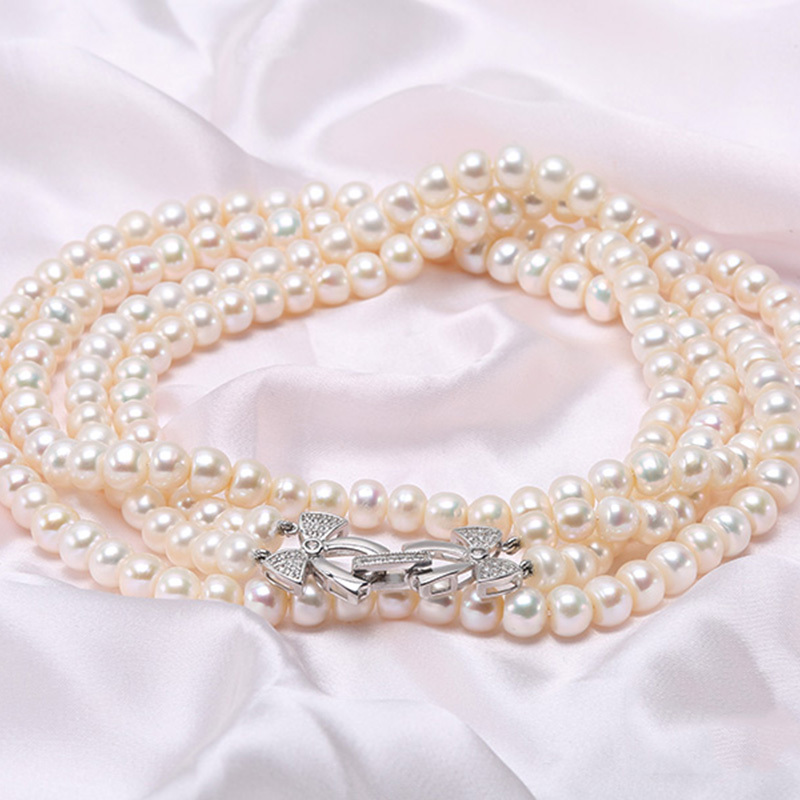 It's a living pearl.just clean it with a soft and damp cloth and put it in its case when it is not worn.